Import maps styles with a click! We are very happy to announce support for Snazzy Maps in our Custom Google Maps addon (1.0.5). It was just over a week ago one of our Members `Pieter Ravelli` brought the website to our attention and it struck a chord with the team here so it was pushed to the top of our development tasks. This really defines our ethos here at GeoDirectory which is basically if a member can suggest something that will benefit all of the members then we will happily add it. 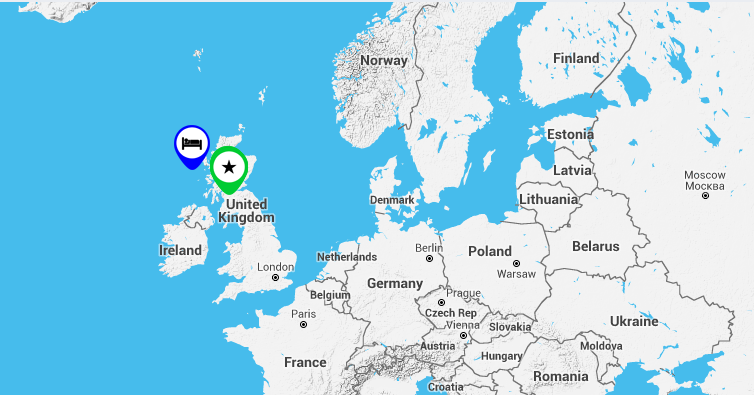 First got to snazzymaps.com and find or create a style that you like. Once you are on the page you like, you will see a copy button, click that. Next go to your GeoDirectory settings and go to GD>Custom Google Maps>Manage Styles and click to edit the map you want to change. 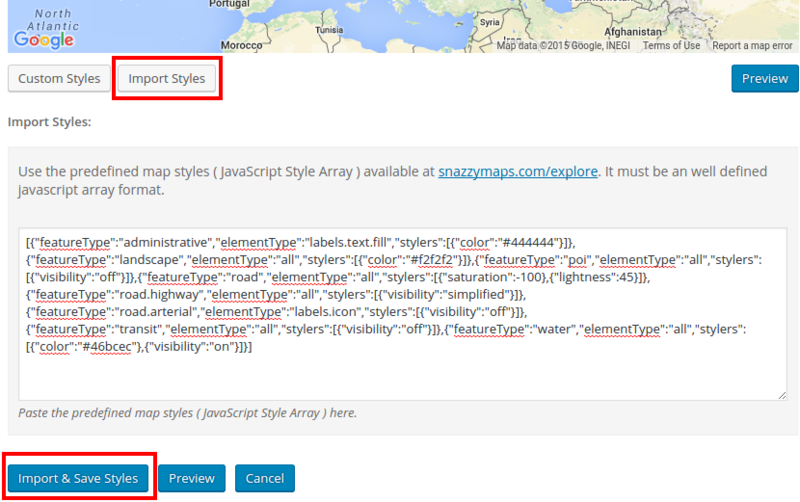 On the edit map styles screen, click the “import styles” button, paste in your styles code from Snazzy Maps and then click “Import & Save Styles” button. 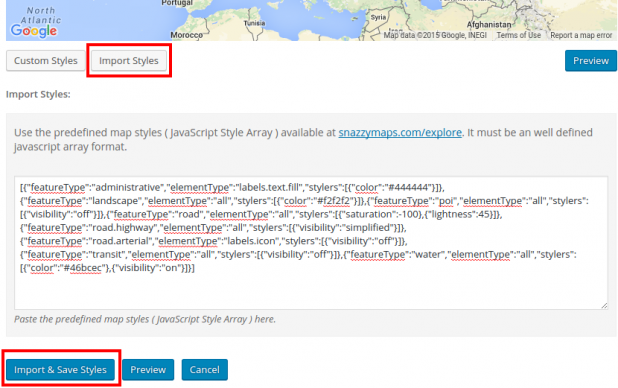 Now your new map styles will be used on your site.